Do you love period dramas that are absolutely BRIMMING over with romance? 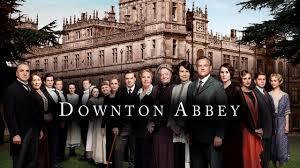 If you love Downton Abbey: Here’s some books you’re guaranteed to love! I know, I’ve talked about this book before. For good reason: it’s gorgeous. A Room With a View is my favourite E. M. Forster work. The book is about Lucy, an upper-middle class young woman embarking on her first trip to Italy. Lucy is disappointed when she fails to gain a room with a view in the pensione; a widower with a son offers her his room — and thus her adventure begins. The story about tolerance and love, and hence ‘A Room With A View’ is also about how the character’s own views change. A Room With a View is a really easy read, but don’t be fooled by how easy a read it is; it took Forster nearly ten years to construct this small masterpiece. As a writer, I don’t find this at all strange. Simplicity is hard. Why is it a great read? Partly because of Lucy’s transformation, but mostly because of the characters: Mr Beebe, the parson; Freddy, Lucy’s “unpromising” brother and Charlotte Bartlett, Lucy’s cousin. The 1985 movie by Marchant-Ivory won 3 Oscars and is fabulous viewing, particularly Maggie Smith, who gives Charlotte Bartlett more depth than even Forster managed. The score, featuring Kiri te Kanawa, is simply stunning. Forster later wrote a satirical piece, called “A View Without A Room” as a postscript to this work. Like Downton Abbey, The Remains of the Day is set in a large country house in the years before World War Two, where a butler, Mr Stevens, and housekeeper, Miss Kenton, work together to ensure the comfort of Lord Darlington. Mr Stevens is reluctant to admit his feelings for Miss Kenton and buries himself in his work of service. Only later does Stevens realise that perhaps this loyalty was misplaced; perhaps his days have passed, as have the days of the country houses. The Remains of the Day won the Man Booker, but don’t let that put you off (!) — it’s a lovely read, especially if you like slower-paced period dramas. The novel was made into a brilliant movie starring Anthony Hopkins and Emma Thompson, and their nuanced performances make the story come alive. I watched the movie first — its one of those rare creations that almost (not quite, but almost) better than the movie! Brideshead Revisited is a tale of love: the love of the protagonist, Charles Ryder, for an upper class family, the Fyltes. He falls in love with the oldest son, Sebastian, but then there’s the sister, Julia … but mostly, the house Brideshead, is what he loves. 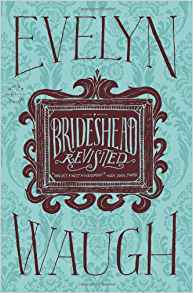 Brideshead Revisited is told from the perspective of Charles, beginning when he’s billeted at Brideshead as a soldier in WW2, so the novel is gripped by a sense of nostalgia and loss. The story deals with the homosexuality of Sebastian, what it’s like to be a Catholic in an Anglican society (the Fyltes are Catholic), but mostly it’s about the end of a privileged lifestyle. Personally, Brideshead Revisited is my least favourite of these novels, although it’s probably the best retelling of the era, and possibly the most autobiographical. It was made into a television series in the 1970s. I remember this series as being staggeringly popular, but to me it seemed inordinately long! A series by P. G. Wodehouse, the Jeeves and Wooster novels feature the all-knowing valet Jeeves and his inept-but-harmless upper-class employer, Bertie Wooster. Wooster narrates over ten novels in a charmingly ignorant fashion, using pre-war slang; language that fits beautifully in the early Downton Abbey series. The Jeeves novels are basically situational comedy. Wooster tumbles from complicated scrape to complicated scrape, requiring rescuing by Jeeves. Jeeves and Wooster were incredibly popular characters, and the series influenced a number of British comedy writers: you can see aspects of Wodehouse in Blackadder and Monty Python, and Bertie Wooster and the sapient Jeeves have starred in a number of television shows. I have to confess: I’ve not read Love in a Cold Climate yet, despite it being on my TBR pile for ages! Written in 1949 by Nancy Mitford, the story narrates the adventures of Polly Hampton and her love for her paedophilic uncle (nicknamed “Boy”). The story was a huge best seller and is still popular today. Love in a Cold Climate takes place in similar settings and characters to Downton Abbey, and as Mitford moved in these circles (she was a contemporary and friend of Evelyn Waugh) the settings are authentic. Love in a Cold Climate (I wonder if its title was the reason for Love in a Time of Cholera) was made into a number of mini series. Here’s a clip of the 1982 version, staring a very young-looking Judi Dench. Unlike the other books in this blog post, The Larnachs isn’t set in England; the events in this story take place very close to my house – in Dunedin, New Zealand. I’ve included The Larnachs in this list as the setting is similar in many ways to Downton Abbey, and there are similar themes of changing morality, wealth, privilege and class. However, unlike Downton, the events in this story actually happened. William Larnach, a self-made millionaire, was a politician in colonial New Zealand. After the death of his first two wives he married Constance de Bathe Brandon, daughter of a well-to-do aristocratic family. William and Constance moved to Larnach’s new-built castle near Dunedin, where Constance met and fell in love with William’s oldest son, Dougie. This is a sensitively-told story of a doomed love triangle. Marshall is a very empathetic writer, and sets the scene of this troubled family with compassion. The story ends tragically, but the beautiful castle Larnach built has survived. You can visit it today – we do, frequently. There’s supposed to be a ghost there, but we’ve never seen it! I know it’s not exhaustive; there’s plenty of other wonderful stories out there. Feel free to recommend your favourites in the comments!